If you are swimming in debt, you’re bound to start looking for a way out. Many people see debt settlement –an option that advertises to help you pay off your debt for much less than what you owe– as a way out of their financial woes. However, the truth isn’t quite as simple as all that. Debt settlement isn’t without pitfalls and consequences — and it isn’t for everyone. Debt settlement is, simply put, hiring a debt settlement company to help negotiate lower payoffs on personal loans, collections, and open accounts like credit cards. Sometimes these companies misleadingly advertise their services as a way to consolidate debt — or “debt consolidation,” — but make no bones about it, this is not a debt consolidation loan. Their main objective is to negotiate a settlement with all of your creditors and lenders. When you hire a debt settlement company you are hiring them to negotiate with your lenders on your behalf. Their job is to negotiate a new, much lower amount for you to pay on the account. In turn, you pay the debt settlement company a monthly payment and they pay your creditors, minus their commission or fee which they deduct from your payment. When you hire a debt settlement company the first thing they will tell you is to stop communicating with your lenders or collectors. Their objective here is to get your lenders so desperate for some sort of payment that they’ll be more open to accepting a settlement deal. A settlement means that the lender, collection agency, or credit card company agrees to take a significantly lower payoff amount than what you actually owe, wiping your slate clear from the financial obligation. There’s one obvious pro to debt settlement: a much lower, single monthly payment that you can afford. And, if a settlement is negotiated and accepted, you will pay much much less than you initially owed on the account. Many times this amount is less than 50% of the original debt, which can end up saving you quite a lot of money in the long run. Now for the cons, there are quite a few so stay with me. Debt settlement should only be used by those that already have very poor credit. If not, your credit standing and your credit score will be severely damaged for quite a while. What the debt settlement companies fail to tell you is that when you settle a debt, the lender, collector, or credit card company will report the debt as “settled for less than agreed” or “settlement accepted,” damaging your credit report cards for seven years. Plus, even though you’re ignoring your lenders (as directed by the settlement company), they will continue to report late payment status updates to the credit bureaus, which will continually get worse until the account is charged off or goes to collection — or is settled, which is the settlement firms main goal. – Ask lots of questions, like how long the company has been in business, what type of training its employees have. You want to go with a company that’s been around and has a staff who understand personal finance. – Avoid companies that contact you rather than the other way around. – Read — and understand — the fine print before you sign anything. – Most companies offer free consultations before you sign anything. Use the opportunity to ask lots of questions and avoid any company that isn’t interested in answering them. – Settlement companies with a proven track record of getting clients out of debt will have a long line of people willing to testify to that effect. Check the Better Business Bureau to see what people are saying about the company you’re looking into. 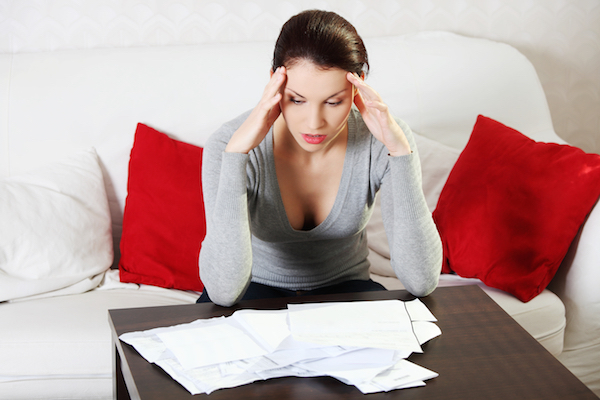 Debt settlement isn’t the only option for people who are swimming in debt. If you’ve tried debt management on your own and are still struggling and need help, you may want to consider a Debt Management Program (DMP). DMPs are often run on a non-profit basis through a consumer credit counseling service, and have no motivation other than wanting to see ordinary people get out of debt. The fees are minimal, and much lower than you’ll pay a settlement or consolidation company — and you’ll pay off your debts, typically in less than five years, without all the damage to your credit and credit scores. Another great thing about legitimate credit counseling services that offer DMPs is that they can also help you evaluate your debt situation, and if you’re not a good candidate for a DMP, they can help you determine if bankruptcy is an option — always a last resort, but there are cases where it’s the only option left. Before you decide on a credit counseling service, make sure they are legit. You can do this by verifying that they are a member of the National Foundation for Credit Counseling by visiting their website or by calling 1.800.251.CCCS. A HELOC, or a home equity line of credit, is a revolving line of credit secured by equity in your home. That line of credit can be tapped and used for whatever you like; to pay off debt, to buy a car, to pay college tuition, or just to have as an emergency fund. HELOCs are commonly used to pay off credit card debt because the interest is tax deductible and the interest rates are relatively low. The danger when using a HELOC is what happens if you go into default. Because a HELOC is secured by the equity in your home the bank can foreclose on your house if you don’t pay back the loan. For some people that’s far too much of a gamble just to pay off a little credit card debt. If you’ve got good credit then you’re probably already getting offers for zero percent credit cards. These are tempting, and for good reason. Converting your expensive credit card debt to zero interest credit card debt is a considerable trade off in your favor. Many of these credit cards allow you to transfer your entire interest accruing balances from other cards AND allow you to make new purchases, all at zero percent interest for some period of time. If you’re disciplined you can use the grace period, normally between 6-12 months, to aggressively attack the balance and get out of the debt. A personal loan is an unsecured installment loan. If you’ve got good credit it’s not that hard to qualify for personal loans well above $10,000. If you use the funds from a personal loan to pay off credit card debt then your credit scores should shoot through the roof because you’ll be converting score damaging revolving debt into score benign installment debt. As far as the cost of the installment loan, it’s possible the interest rate will be considerably lower. If you have good credit you can get an installment loan in the low teens, while your credit card debt might be as expensive as the high 20s. Plus installment loans have a much shorter payoff period compared to credit cards. Nicholas Pell is a freelance personal finance writer based out of Hollywood, California. In addition to Credit Sesame, he also writes for Mint Life, Wise Bread and Business Insider, specializing in showing people how to live large on a modest budget and get out of debt. He has also reported extensively on the mortgage crisis, student debt bubble and health care in the United States. Pell lives a stone's throw from the final resting place of Cecil B. DeMille. I'm just trying to figure out the best way to go in getting out of debt.